Lee Guem-ja has been released from jail having served 13 years for the kidnapping and murder of a child. A seemingly unassuming prisoner, Guem-ja has in fact been plotting her revenge on the man who was responsible for her incarceration. With the help of some of her fellow inmates, her plan will soon be complete. But just as the trap is ready, Guem-ja finds herself re-united with her long lost daughter. Will her daughter be able to bring her the peace she so desires and will her long committed quest for revenge lead to salvation or damnation. 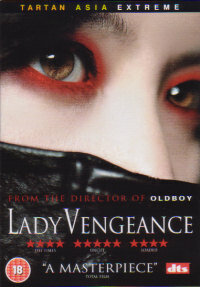 Sympathy For Lady Vengeance (or just Lady Vengeance as it is known in the UK) is the concluding chapter in Park Chan-Wook's Vengeance Trilogy, with the previous installments being Oldboy and Sympathy For Mr. Vengeance. While the first installment (Sympathy For Mr. Vengeance) looked at the brutal and consequential aspects of revenge, the second film (Oldboy) was more of a revenge detective thriller, as the main character had to determine why he had been treated in such a way, this third film follows the more slow, calculated execution of revenge. Unfortunately the main key word there was the word 'slow'. 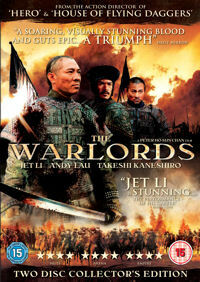 If you watch this film looking for the excitement of its predecessors, then you are going to be very much disappointed. The story here focuses on Lee Geum-Ja and through the use of narrative and flashbacks, the viewer learns of her involvement in the kidnapping and murder of a child. Some of the narrative in which we learn a lot about Guem-Ja's character is done in rather a bizarre way. 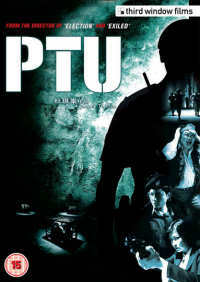 Certain scenes make the film seem more like a documentary, with characters vocally telling what's happened and elements of their thoughts and feelings on the situation. This was an interesting way of telling the story and added a little to the surrealism, but in some ways to me it felt like a necessary gimmick to distract from the basic fact that nothing much really happens. Or possibly to be a bit more accurate, the vast majority of things that do happen can be seen coming from so far away that by the time they get here, it doesn't feel like anything major or important has happened. This was where the film failed for me on the most important level - it was all far too predictable, and being predictable with nothing much happening isn't a good combination. The film focuses on the character of Lee Guem-Ja. She's got many sides that are portrayed throughout the film leading the viewer to think that either she has some form of split personality disorder, or that she is actually extremely calculating and ruthless. The latter is most likely the truth given her plan for revenge. The sides to her character are shown to us in rather weird ways at times, with some scenes for her more angelic side showing her face glowing like and angel, with rays of light coming from it and everything! It was all quite surreal, but then it was topped by the sight of Choi Min-Sik's head on a dog's body, before she blows its brains out. However, all the character development, witnessing of how she became friends with other prison inmates and how she achieved her status in prison didn't really seem to lead anywhere. It only served as a purpose to show her contacts on the outside world that she planned to have help her execute her revenge. The one-dimensionality of the revenge plot made her character seem the same way, despite her having all those different personalities and sides. The only occasion that we really get to see something happen with Geum-Ja is when we see her with her daughter. Admittedly I didn't find much of that substory to be overly engaging with the exception of the scene where she's trying to explain to her daughter why she left her all the years ago. Her daughter speaks English and doesn't understand Korean, while Geum-Ja only speaks Korean. Through an interpretor she gives her story. I thought that scene was beautifully done, with some clever use of camera effects to add to the evident emotion, but that type of scene was few and far between. The rest of the film, while stylishly shot, proceeded at walking pace, with big sign posts throughout to make sure you knew exactly what was coming, up to the film's climax... which occurred with about 30 minutes still to go. I watch all my films with my DVD player showing the time remaining. I just like to know, particularly with bad films, how much longer I have to endure before it's over. So when what I figured was going to be the climax to the film, the conclusion and execution of Geum-Ja's revenge, the point the whole film had been building up to, I was quite surprised to see that there was still about half an hour remaining. That surprise then lead to apprehension and excitement - there was going to be a twist and some excitement! At last! Something to liven up the quite boring proceedings. There was not. What there was, was an overly long portrayal of the revenge and then an even more overly long drawn out ending. I think there was meant to be some sort of conclusion in the mother-daughter substory, but I didn't pick up on it. Maybe I was near asleep by that point so missed the whole development and round off of their story. Either way, it wasn't exactly exciting or interesting. Granted my feelings of excitement and apprehension only came about due to the DVD clock showing the time remaining and that is what built me up for a fall. But for people who watch it not knowing how long is left, I'm not sure how much they could really have endured not knowing when it was going to end. I would have ended up asking the horrible long journey question every minute or so, "Are we there yet?". With such a lack of interest from myself during the majority of the running time, I can only surmise that Park Chan-Wook has failed in one of the more important elements of the film - getting the viewer to feel, care and even relate to the characters. I felt nothing. Maybe that is partly due to the rather emotionless portrayal of Geum-Ja by Lee Young-Ae. If a character doesn't really show emotion, how can a viewer empathise with them? There was not enough development, or concentration on Choi Min-Sik's character for the viewer to know enough about him to really dislike or "boo" the baddie, so the target for the revenge didn't have our disdain to make Geum-Ja's cause seem more justified. There are also a handful of other characters that pass by the screen of which little is developed or known, other than the moments in which their life path crossed Geum-Ja's and how she then used them for her needs. Particularly with the prison scenes, this made the film quite disjointed early on. I know it may seem it from what I've written, but not everything about the film is bad. It looks fantastic, the underlying story is good, just not developed enough and I did find myself wondering just a little about the exact methods Geum-Ja was going to use to extract her revenge, as we are shown that she can be cold and ruthless. But those few moments weren't enough to save the film, or even bring it up to the average levels in my books. 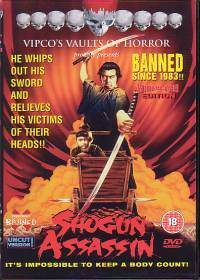 Maybe some gratuitous violence and gore could have made it more of an exciting splatterfest, but bar a few gunshot splatters, there is little in the way of gore or violence. With Sympathy For Lady Vengeance Park Chan-Wook seems to have taken the majority of the things that made Sympathy For Mr. Vengeance and Oldboy good and then discarded them.